Reddit is one of the world’s most visited websites. People all over the globe use it by the millions. It is a unique site because it is a vibrant forum for discussions about almost any topic. Redditors, as Reddit users call themselves, post links, comment on posts and upvote or downvote them. Given its various unique features, Reddit can be a powerful source of traffic for website owners. After all, don’t Redditors primarily visit sites to get information and then rate it? Although it might appear to be the ideal place to get your traffic from, it actually is a double- edged sword. It can either build your website or tear it down to shreds. If only you know how to use Reddit well, it can drive unimaginable traffic to your blog or site. 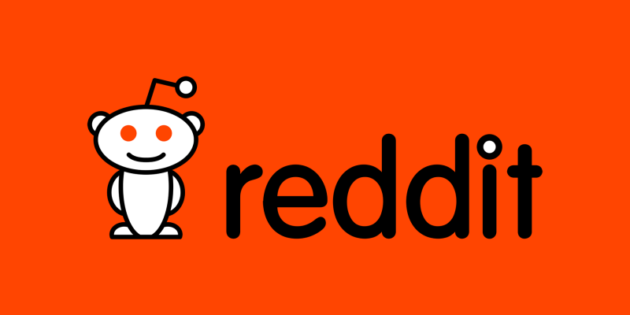 Here are a few tips on How to Use Reddit to Get More Traffic to Your Website or Blog. Reddit is organized into many different categories known as Subreddits. There are virtually countless subreddits, with some being more general than others. As a website owner, you would be well advised to choose a subreddit that is as specific as possible. For instance if you blog on street wear, you would be better off choosing the street wear subreddit rather than the fashion subreddit. Choosing a specific subreddit means that you will be in touch with an audience that is already interested in your blog or site. This is the cardinal rule that everyone who wants to get traffic from Reddit must follow. Redditors abhor self- promoters and marketers. They can be mean, ruthless and harsh. In fact, if they notice that you only advertise on the site, they will go further and report you as spam. This can be more than disheartening, especially if you are new to the site. Instead of falling prey to this trap, focus on being a member of the community first. Be an ordinary Redditor so that you can learn how the site works. Get to know other people. Post jokes and other neutral posts. That way, you will be accepted as part of the community. However, be sure to post links to your site occasionally. Just don’t overdo it and you will be fine. This tip goes hand in hand with the one above. Just as Redditors loathe marketers, so does the admin hate spammers. There is a spam filter that checks all content to ensure that it is not spam. If the filter finds fault with your links or text, your account will be banned. Many marketers have found themselves in this unfortunate position without knowing how they got there in the first place. With Reddit, posting too many links from the same site counts as spam. This is how many innocent marketers get banned from the site. You can also get a stealth ban, which means that only you can see your content. This can be quite frustrating and time- consuming. To avoid getting banned, be sure to read and understand the rules, and to abide by them strictly. In order to thrive in Reddit, it is important that your content gets a lot of upvotes. You have to earn these upvotes; there is no way around it. The simplest way to get a lot of upvotes is to post unique and quality content. Redditors might be harsh, but they give credit where it is due. If you provide informative and interesting content, you will get plenty of upvotes. The upvotes will help you to rise through the Reddit ranks. As you rise through the ranks, traffic to your site is likely to get heavier. Lastly, the time you post on Reddit matters. You should post at a time when people are most active, as you are likely to get a lot of responses at that time. Additionally, if you get many upvotes fast, you will rise through the ranks just as quickly. Research shows that people are most active on Reddit at five in the evening. This is the prime time for you to post on this site. Another benefit of posting at this time is that you can respond to any questions that Redditors may have about your content or site in good time. This does help to improve your credibility as well. Reddit is not a channel to get easy traffic to your site or blog, but if you use it the right way, it can help your site to grow in a short time. Be patient with the site and eventually your patience will pay off. Start by being an ordinary Redditor, and use that time to understand how the site works. Then start posting your content every once in a while, and not continuously as you may be tempted to do. Post great content in order to build your karma, and your content will get a lot of exposure. If you follow these tips, you should start seeing your site or blog growing by the day.